Above you can see what appears to be, on first glance, a well worn Australian shilling from 1928. In fact, what you can see above is a well worn silver disc purporting to be a 1928 shilling. It is a cleverly executed contemporary forgery struck in good silver in China and then imported into Australia for circulation in the early 1930’s. How, I hear you ask, can someone make a profit striking a coin in silver? Well in the 1930’s a shilling contained only about 2 1/2 pennies worth of silver, leaving 9 1/2 pence to cover manufacturing, shipping and profit. You can easily see how a profit could be turned. These 1928 shilling forgeries are not as well known as the so-called “Manders and Twible” forgeries of the same era, yet in their own way they are just as interesting and equally well made. In 1931 and 1932 banks in several major Australian state capitals became concerned at the number of 1928 shillings in rolls and bags that were being cashed in for notes. The police were called in and upon examination the coins were found to be good silver (in fact some were higher purity than sterling), and probably machine struck. While analysis of the forgeries was carried out in 1932 detective work was undertaken by Detective-Inspector Prior of the Sydney CIB. Prior worked with Australian Treasury officials and gained cooperation of Commonwealth Bank managers who would report excessive deposits of silver shillings. Soon enough a Sydney branch reported a well dressed Chinese man depositing packaged shillings and low denomination notes to be exchanged for high value notes. This man, it was found out, was well spoken, held international qualifications in Commerce, and was a local carpet and fabric merchant who went by the name of Kwong Khi Tseng. In fact he was held in such esteem locally and internationally that police were inclined to dismiss him as a suspect. However, in the interest of thoroughness Detective Prior appointed Frank Fahy, Australia’s first official undercover policeman to tail Tseng. Fahy followed Tseng and saw him deposit further numbers of shillings and notes into various banks around Sydney and identified two other Chinese who were depositing similar notes and coins into different banks. Within two weeks Fahy was convinced the three men were the source of the spurious coins as “the volume of shillings he had seen them convert was far in excess of the normal amount in a warehouse business like theirs”. However, Fahy was also sure that the coins were not being made locally but had no real idea where they were being sourced. His answer came a few weeks later when he followed the three men to a ship that had just arrived from China. One of the men boarded the ship and left just a few minutes later bearing a heavy case. The case was presented to Customs and passed without question. Fahy spoke to the Customs officer later and was told that the Chinese men were well known and often brought large amounts of silver currency into Australia and out of Australia. Shortly thereafter the fabric and carpet warehouse was raided where “hundreds of pounds worth of shilling pieces” were found. One of the suspects was arrested simultaneously at the Union Bank in George St, Sydney where he was changing 20 pounds worth of notes and shillings. Charges were soon laid against the Chinese merchant and his two accomplices. Two of the three were found guilty and all three were promptly deported from Australia and warned that they, and their families, were no longer welcome in Australia. The coins were all shillings dated 1928 and it is believed they minted in a town called Swatow in China; Three Chinese were charged with uttering, and it was proved one came from that town. 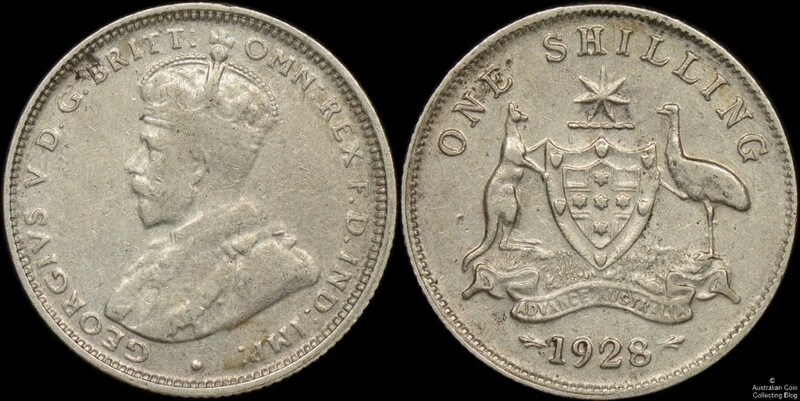 The author of ‘The Fake 1928 Shillings’ (1984) says that Swatow (in Kwangtung province) was also rumoured to be the source of other similar sized silver counterfeits such as 1922 Netherlands 1/2 guilders, US 1/4 dollars, and French francs. It’s interesting to note that this very same coin is found imaged in the August 2009 edition the Australasian Coin & Banknote Magazine in an article entitled “The 1928 Dodgy Deener” by Ian McConnelly. Almost a year and a half after we last found one of these forgeries we came across another one at a coin show in Adelaide in the stock books of Victorian coin dealer Steele Waterman. We paid $20 for the coin, which honestly is probably a fair value for something that is surprisingly difficult to find. Interestingly a friend of ours also found one in the last few months at a coin show in Victoria. 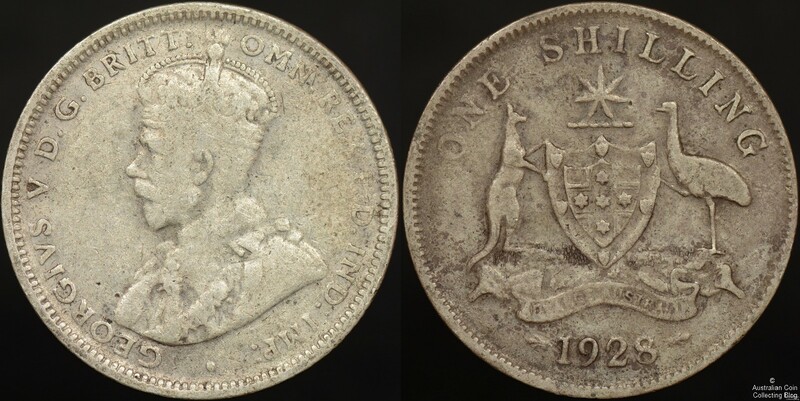 The coins, all dated 1928, contained up to 3 percent less silver than a genuine Australian shilling. Given that a real Australian shilling of the period is sterling silver (92.5%) if we subtract 3% from this we arrive a 89.5% which is remarkably close to the silver content of coins that would have been found in China at the time. 89% and 90% happen to be the most common silver percentages used for Chinese silver dollars of the period while 90% was the silver percentage of US silver coins. It’s also interesting to note that 90.3% was the most common silver percentage of Mexican silver crowns that were commonly used for trade in China in the 19th century and the early part of the 20th. It’s not hard to imagine that the forgers in Swatow sourced their silver by collecting up all the silver dollar sized coins they could at silver value and melting them down to produce the blanks for their dud Aussie shillings! 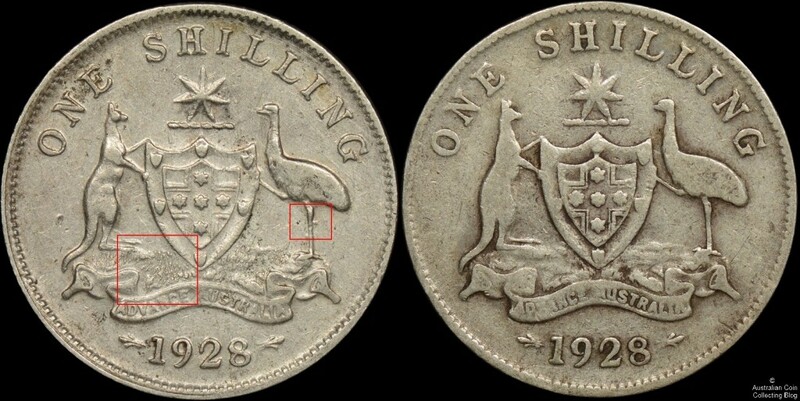 Above you can see an image comparing a counterfeit and a genuine 1928 shilling with areas of interest circled in red (click on the image to enlarge). Determining if a 1928 shilling is one of these counterfeit silver coins is relatively simple through examination of the reverse. First examine the standing leg of the emu. On the counterfeit about one third down the emu’s leg there’s a small cud just to the right of the leg. You can see this feature circled on the image above. The second difference is in the surface of the grass at the base of the coat of arms. On the genuine coin the grass is smooth and shows as ‘blades of grass’. While on the counterfeit the grass is hazy and is represented as a series of spots and blobs and lines. These silver forgeries are very scarce. Much more so than the silver “Manders and Twible” forgeries, with perhaps the exception of the 1931 counterfeit florin struck by the pair of well known forgers. The authors of this article have only ever sighted one two three examples (all imaged in this article). Another much more experienced collector we know has been looking for these coins for 15 years and has only seen about 6 or 7 examples in that time. Ian McConnelly, a well known Australian variety collector and author hadn’t managed to find one and in our time looking for (several) years we’ve found three. Their scarcity and interesting back story makes them quite interesting to collectors, especially those who are putting together collections of counterfeit pre-decimal coins. ‘Analyst Studies Crime, Food, Beer, Lipstick’, Sydney Morning Herald (31 January 1946), p. 2.